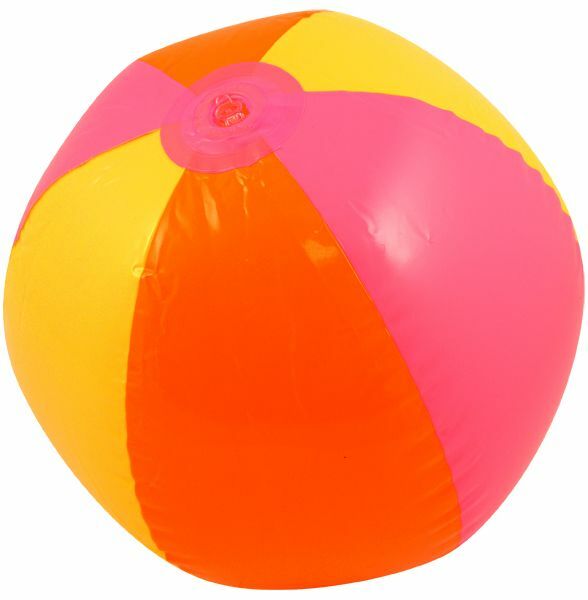 Inflatable beach ball with a pink, yellow, and orange panel design. Small brightly coloured beach toy that measures approximately 35cm pole to pole when deflated and will blow up to 25cm when inflated. From 36 wholesale units.